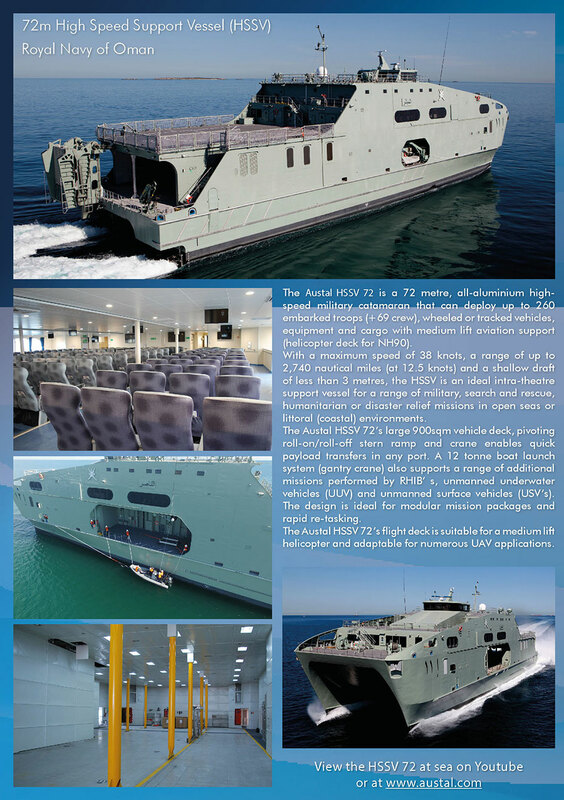 Austal’s High Speed Support Vessel (HSSV) is a new naval capability that offers class-leading sealift, logistics and theatre support, with multi-mission flexibility. The latest evolution in effective military catamaran design and technology, the HSSV platform carries troops, vehicles, equipment and cargo at high speed between ports or other (austere) locations, with a fast turnaround (loading and unloading), at comparatively low cost. HSSV platform is available in various sizes to suit multiple mission requirements - including 72, 92, 101, 103 and 113 meter LOA variants with capabilities including medium lift aviation support. Austal is the acknowledged global leader in the design, construction and sustainment of high speed support vessels; having successfully developed the original military catamaran, Westpac Express, for the US Army (Marines) in 2001 - to provide logistics and theatre support in Japan. 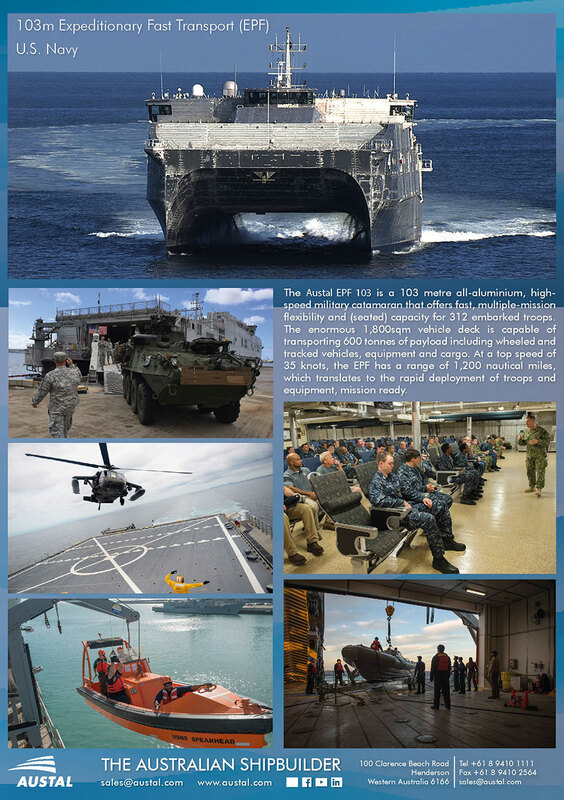 The success and utility of this vessel (which is still in operation) led to Austal’s Joint High Speed Vessel (JHSV) and what is now the 12 x vessel Expeditionary Fast Transport (EPF) program for the US Navy. As of October 2017, 8 x EPF’s have been delivered to the US Navy and 5 of these have been forward deployed to US Military Sealift Command (USMSC) operations around the world, including the US, Middle East, Africa and South East Asia. Austal’s HSSV platform, based on the EPF, has demonstrated early success following delivery in 2016 of two 72 metre HSSV’s to the Royal Navy of Oman. 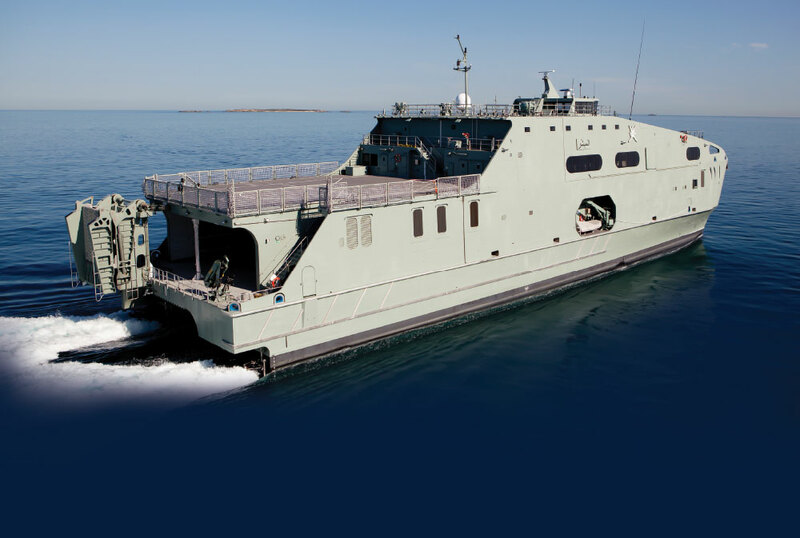 Austal’s HSSV range includes the proven Expeditionary Fast Transport (EPF) and High Speed Support Vessel (HSSV) platforms that may be customized to meet operator and mission-specific requirements. The HSSV platform is ideal for fast, intra-theatre military support, humanitarian aid and disaster relief, search and rescue, military exercises, rapid response medical support (field hospital). 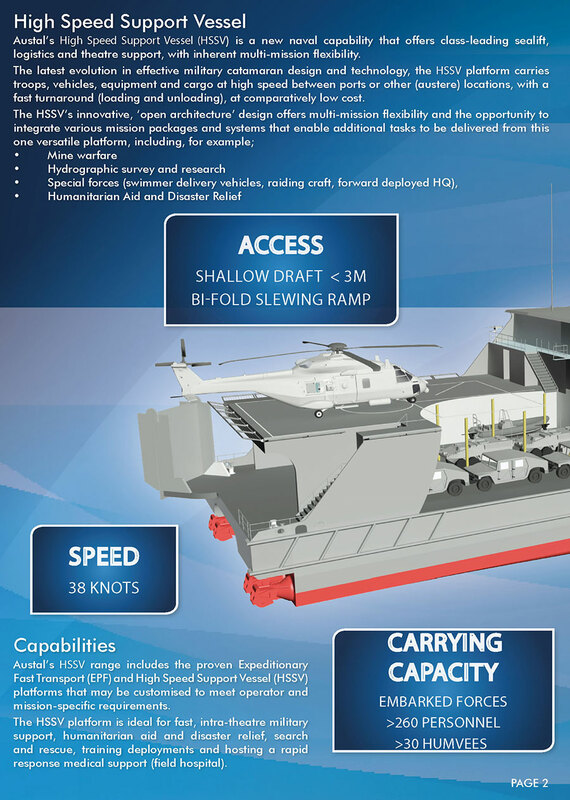 The Austal HSSV 72 is a 72 meter, all-aluminum high-speed military catamaran that can deploy up to 260 embarked troops (+69 crew), wheeled or tracked vehicles, equipment and cargo with medium lift aviation support (helicopter deck for NH90). With a maximum speed of 40 knots, a range of up to 2,740 nautical miles (at 12.5 knots) and a shallow draft of less than 3 meters, the HSSV is an ideal intra-theatre support vessel for a range of military, search and rescue, humanitarian or disaster relief missions in open seas or littoral (coastal) environments. The Austal HSSV 72’s large 900sqm vehicle deck, pivoting roll-on/roll-off stern ramp and crane enables quick payload transfers in any port. A 12-tone boat launch system (gantry crane) also supports a range of additional missions performed by RHIB’ s, unmanned underwater vehicles (UUV) and unmanned surface vehicles (USV’s). The Austal HSSV 72’s helicopter deck can provide effective, aviation support to military missions (including UAV) and facilitate search and rescue operations or emergency evacuations. The Austal EPF 103 is a 103 meter all-aluminum, high-speed military catamaran that offers fast, multiple-mission flexibility and (seated) capacity for 312 embarked troops. The 1,800sqm vehicle deck is capable of transporting 600 tones of payload including wheeled and tracked vehicles, equipment and cargo. At a top speed of 35 knots, the EPF has a range of 1,200 nautical miles, which translates to the rapid deployment of troops and equipment. 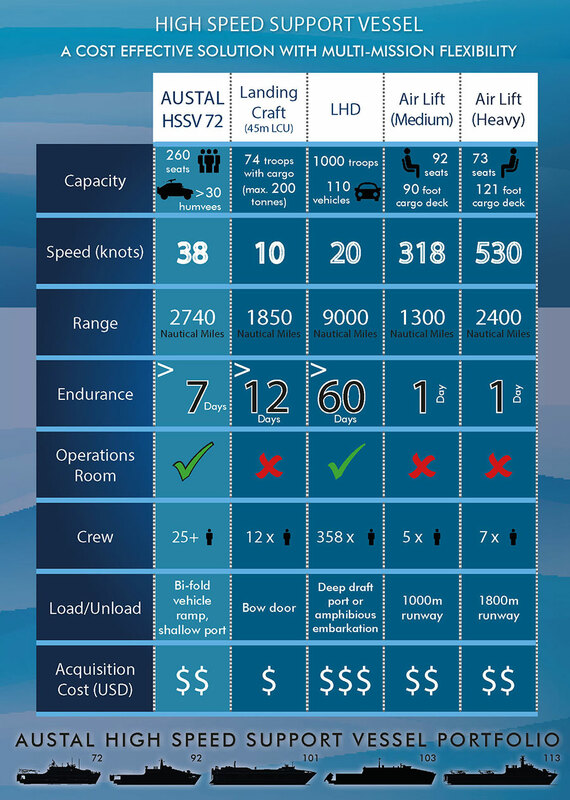 Austal’s HSSV range has a number of valuable advantages over traditional sealift and airlift modes, with the added benefit(s) of multi-mission flexibility. HSSV’s and EPF’s transport more troops, vehicles and equipment - more quickly - to remote locations with no or little port infrastructure required. They also offer enhanced fleet capability from multiple mission packages (such as mine warfare or hydrographic survey) that may be integrated into a customized design. 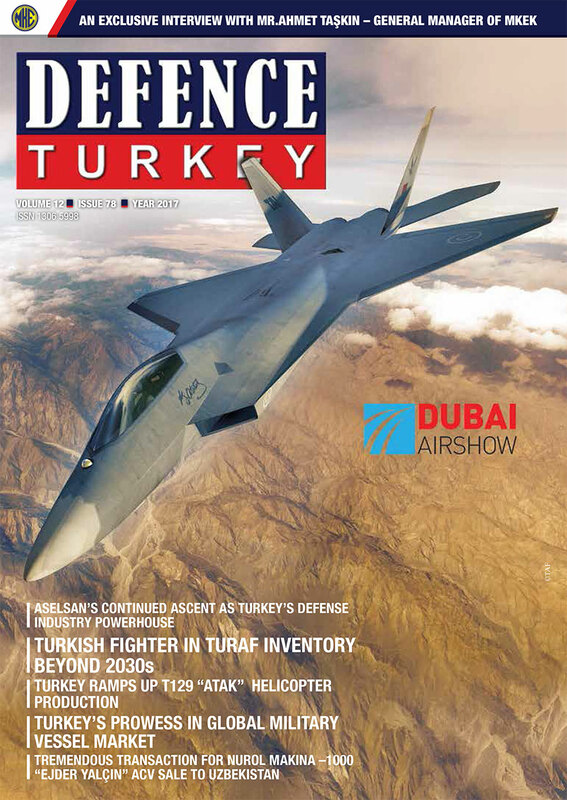 The HSSV and EPF are cost effective (with low acquisition and operating costs) and represent low risk; with proven designs and assured, on-time on budget construction from one of the worlds’ leading defense prime contractors, delivering multiple vessel programs for customers including the US Navy. 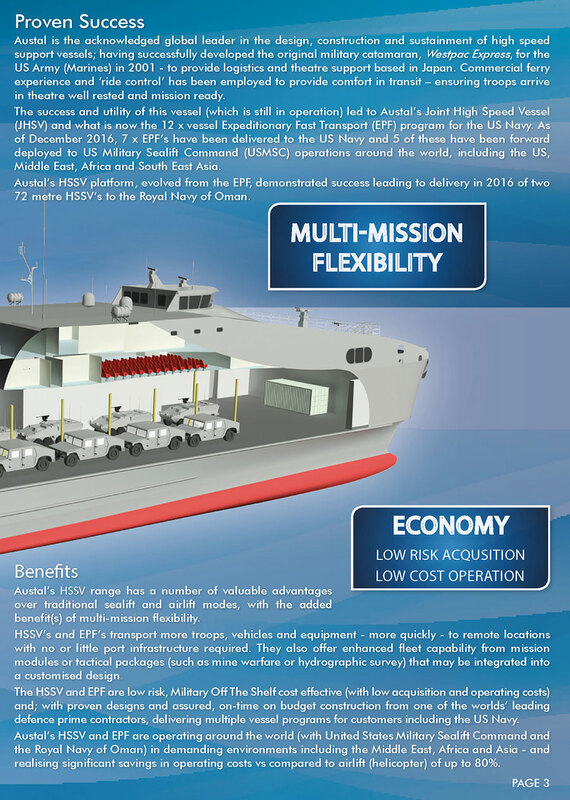 Austal’s HSSV and EPF are operating around the world (with United States Military Sealift Command and the Royal Navy of Oman) in demanding environments including the Middle East, Africa and Asia - and realizing significant savings in operating costs vs airlift (helicopter) of up to 80%.